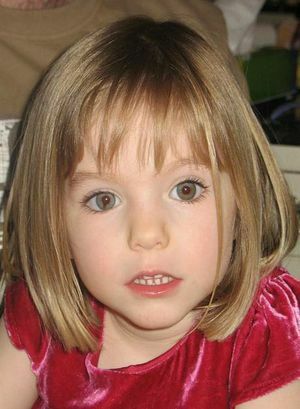 PORTUGESE police sources have confirmed to the Observer that a number of suspects identified by Scotland Yard detectives will be arrested "in the very near future" over the disappearance seven years ago of Madeleine McCann. The search of that particular area, a Portuguese police source said, would end today and the search would shift to another area. It has been six months since the initial request by the Met for access to "three prime suspects" for questioning, although it is believed that as many as eight could be on the interview list. They would be the first significant arrests in the case. 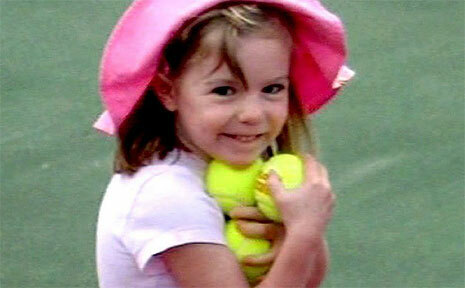 Madeleine McCann, who disappeared in the Praia de Lux resort in Portugal. The three are thought to be burglars who may have carried out raids in the holiday resort and live locally, although the Portuguese police would not say whether the men had criminal records. The development comes after a cold-case review by British officers and involved the painstaking examination of hundreds of phone records from the area on the night the toddler vanished from her bed as her parents ate supper with friends at a nearby restaurant. On Saturday, officers in Met uniform were seen studying a flat area of ground at the opposite end of the area. They had previously focused on a hole covered in undergrowth. Forensics officers sifted soil through large sieves inside a white tent set up to cover the void but nothing of interest was found. Portugal's attorney-general's office said in January that it had received an international letter of request in regard to "prime suspects" sent by British police investigating Madeleine's disappearance. Yesterday the source said there was still no date set for questioning to take place but it definitely would not happen during the current search phase of the investigation, which they said would expand to new sites on Thursday, culminating by "no later than next Friday [Saturday NZT]". Police also confirmed that all the suspects still live in Portugal and that interviews would take place at either of the two Algarve police stations, Faro or Portimao, conducted by Portuguese detectives with their British counterparts allowed to sit in but not intervene. Those the police want to talk to will be immediately constituted as arguidos, a Portuguese term for someone who is a suspect, which garnered infamy when Madeleine's parents, along with a British expatriate called Robert Murat, were given the status by Portuguese authorities. All three were cleared by a prosecutor in 2008. The Mayor of Praia de Luz, Victor Mata, has said the timing of last week's search - which coincides with the resort's busiest holiday period and brought dozens of journalists back to the area - "couldn't be worse". He said local tourism was suffering and people were being "punished". Mata warned that if there were more searches in future, he would seek court action to stop them happening during the peak northern summer period. Kate and Gerry McCann released a statement on their website saying they were "encouraged by the progress" being made by search teams in Portugal.